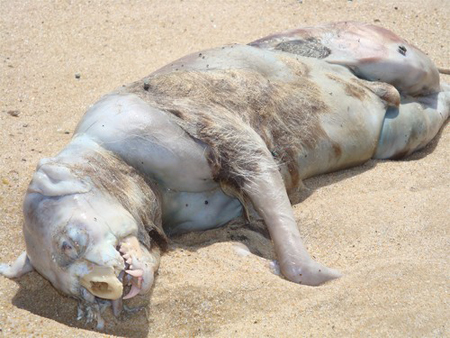 We discuss crazy dreams, dead raccoons, and conspiracy theories, as we attempt to unpack the story of the Montauk Monster. 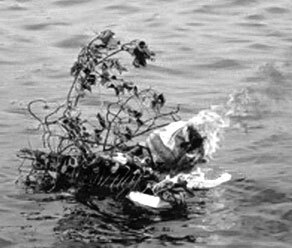 In the summer of 2008, just outside of Montauk, New York, a creature washed ashore resembling a raccoon, or a pig, or a turtle, or a dog, or an alien, depending on who you ask. The naked creature was said to be slightly larger than a cat and had one main characteristic that ruled out the above suggestions, a beak. Before authorities arrived on the scene, a man walking the beach scooped up the creature, mumbling something about mounting it on his wall, and disappeared. With mystery surrounding the origins of this creature, the whereabouts of its body, and the near by Animal Disease Center, this episode may be our deepest dive yet! So join us, Cryptid Counters, as we slur our way though another episode of the infamous internet program, Counting Cryptids. OOPS! - Jacob read about a second body being found on Plum Island, while searching for the autopsy report from the first body Connor mentioned. The second body (of the woman) was on a different Plum Island, located nearby in Massachusetts. Be sure to follow us on social media to connect with the community and answer polls!